common reasons parents take their children to the doctor. on prevention and treatment of acute ear infection. struggle with one you might want to prepare for the other. 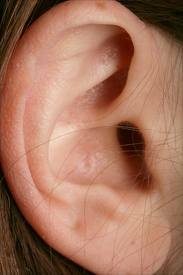 living in a humid climate can cause ear infection? caused by the specific fungi Aspergillus niger and A.
infection during your next tropical vacation. found evidence that the two may be connected. particularly zinc and vitamin A. 4. Childcare and Ear Infections: Good for the Long Run. infections during the years of elementary school. now, for less infections later. very air that fills his or her daily life. lives. It might be time for an extended trip to the mountains. 6. Ear Infection and the Little Ones: Are Pacifiers to Blame? more to worry about: pacifiers. pacifier use, and otitis media was diagnosed by physicians. adolescence) at the same time. are present at the same time. the best treatment is to avoid areas where symptoms arise. such as antihistamines, decongestants, or allergy shots. In 2011, experts with the University of Nottingham and St.
infections: if only we had some say in the matter. questionnaires, and “heritability estimates” were calculated. acute otitis media and chronic otitis media. blame for your recurring ear infections: blame your parents! 11. Childhood Obesity: Even the Ears Aren’t Safe. should look out for the safety of our children’s ears. exercise and healthy eating habits in your child’s lifestyle. (c) copyright collectivewizdom.com 2007 -2017 and all prior years. All rights reserved.